When you need an aesthetic treatment to rejuvenate your face or body, you want nothing but the absolute best — and that’s just what you’ll receive at Pier Medical Aesthetics in Hermosa Beach, California. Dr. Douglas Mest has more than two decades of experience and is renowned in the field of medical aesthetics. His dedication to creating natural and exceptional results has resulted in thousands of deeply satisfied patients and earned him a featured appearance on the TV series “Botched.” Dr. Mest is also a pioneer in Sculptra® aesthetic treatments and a CoolSculpting® expert. The highly trained medical staff at Pier Medical Aesthetics works closely with each patient, talking about their personal needs and creating customized treatment plans. Their goal for all cosmetic procedures is to create natural results. You can receive every type of cosmetic procedure at Pier Medical Aesthetics, from multiple laser treatments including laser hair removal to microneedling, dermal fillers, Botox®, and high-quality chemical peels. The team at Pier Medical Aesthetics is also on the leading edge of aesthetics, so you can receive regenerative treatments such as platelet-rich plasma (PRP). Dr. Mest and the team at Pier Medical Aesthetics have a tagline that precisely describes the type of care you’ll receive from this compassionate group — “Where Aesthetic Medicine and Artistry Converge.” If you have questions or would like to schedule an appointment, call or book an appointment online. 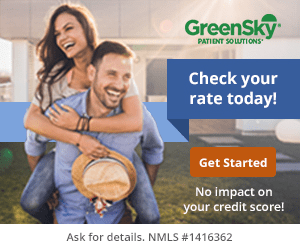 Dr. Mest featured on "Botched"
We are now offering Green Sky, a 12-month interest free financing program! Check out our patient's blog to see some "behind the scenes" action with Dr. Mest, Cyndee and the Pier Medical Aesthetics team. With Aspire Rewards, you can earn exclusive rewards, bonuses, and discounts on aesthetic services. Feel good about looking your best! The Brilliant Distinctions Program allows you to earn points each time you receive a BOTOX Cosmetics or JUVÉDERM XC treatment from Dr. Mest! $200 Off the Pier Medical Special!